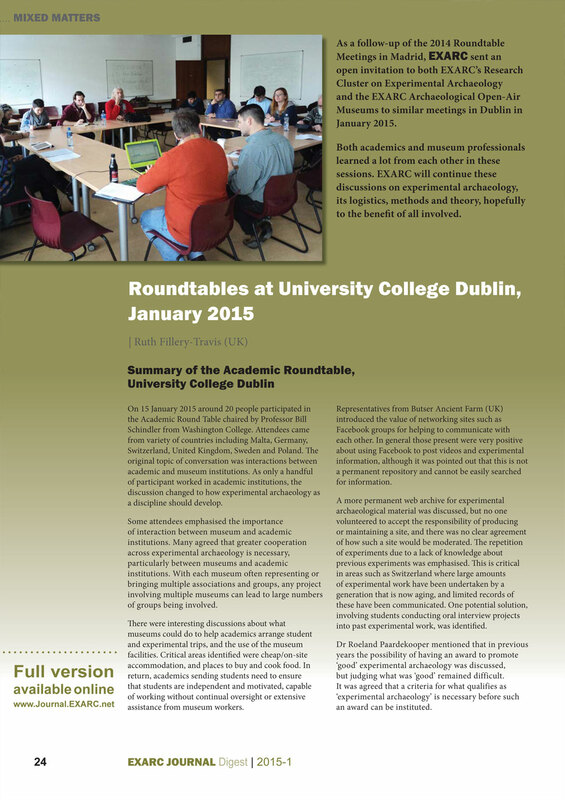 The hard copy EXARC JOURNAL Digest 2015 issue 1, offers the "best of" all our articles from Journal issues 2014/4 to 2015/2, illustrating the wide range of contributions we receive and publish. 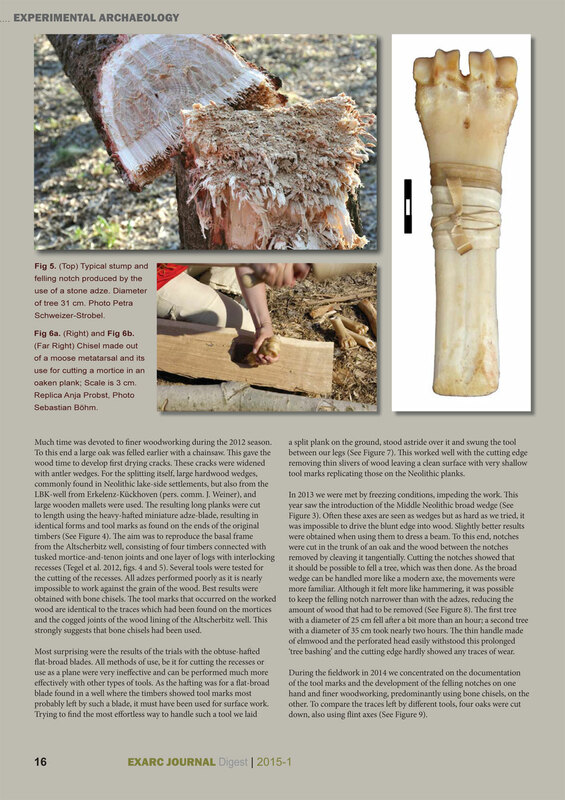 The article Field Trials in Neolithic Woodworking presents a continuing series of experiments dedicated to fundamental questions on the use of Neolithic adzes. 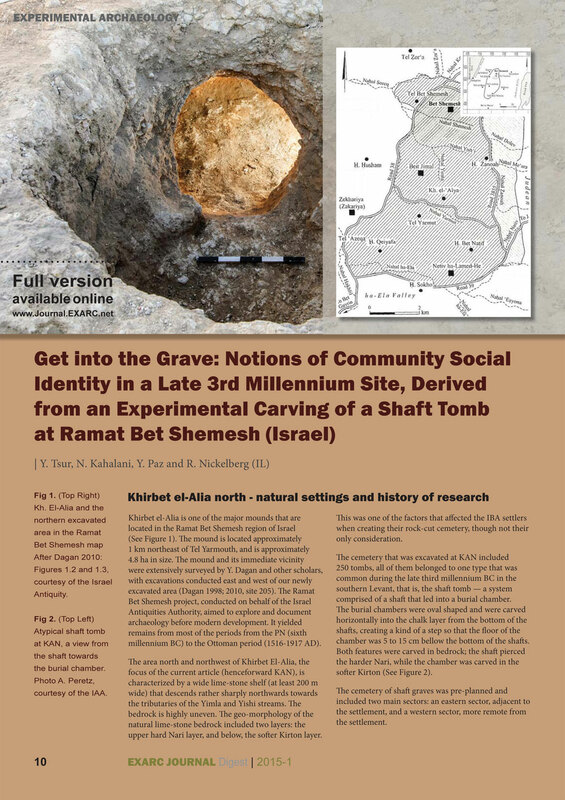 Notions of Community Social Identity in a Late 3rd Millennium Site, Derived from an Experimental Carving of a Shaft Tomb at Ramat Bet Shemesh (Israel) discusses the labour needed to create a shaft tomb and the possible social implications of the monumentality of some of these graves. 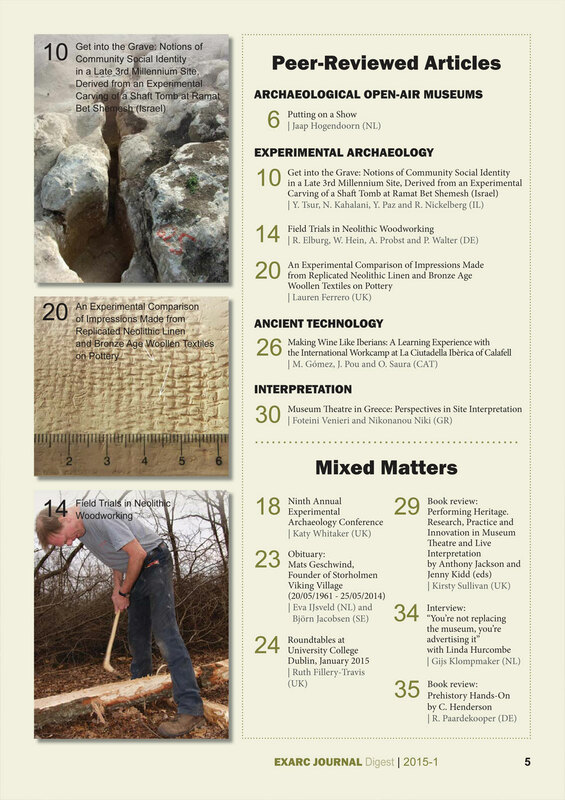 An Experimental Comparison of Impressions Made From Replicated Neolithic Linen and Bronze Age Woollen Textiles on Pottery is about an experiment that produced several indicators that can be used in identifying the fibres from fabric impressions in clay. 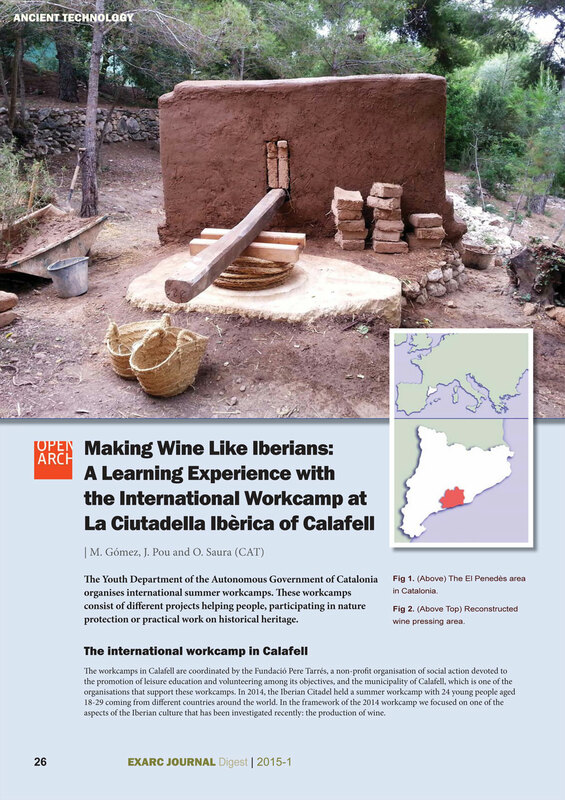 Making Wine Like Iberians introduces the experience of producing wine in a way we think it would have been produced in the seventh century BC. 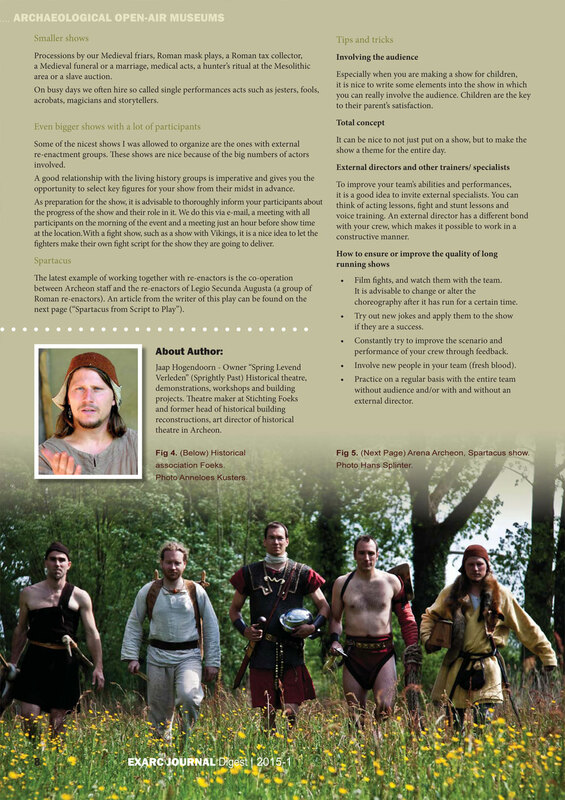 Museum Theatre in Greece: Perspectives in Site Interpretation summarises Greek experiences of using performance arts, including Live Action Role Play, in heritage education. 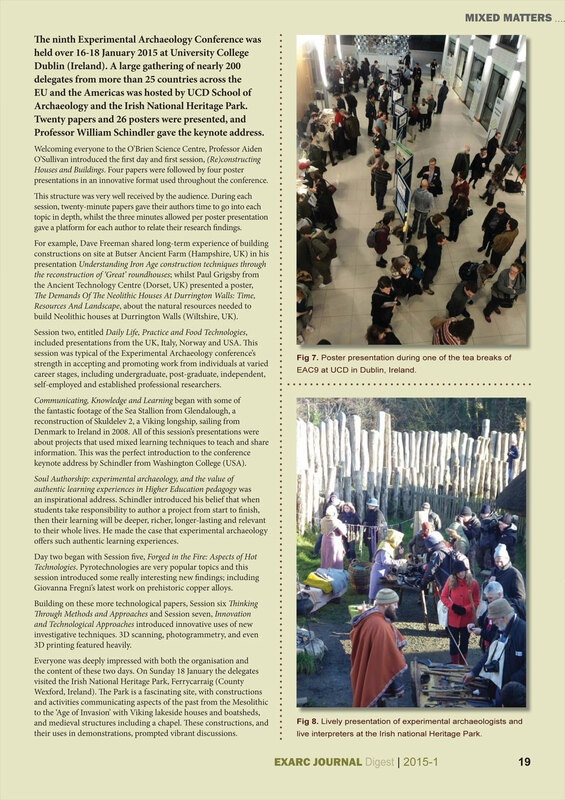 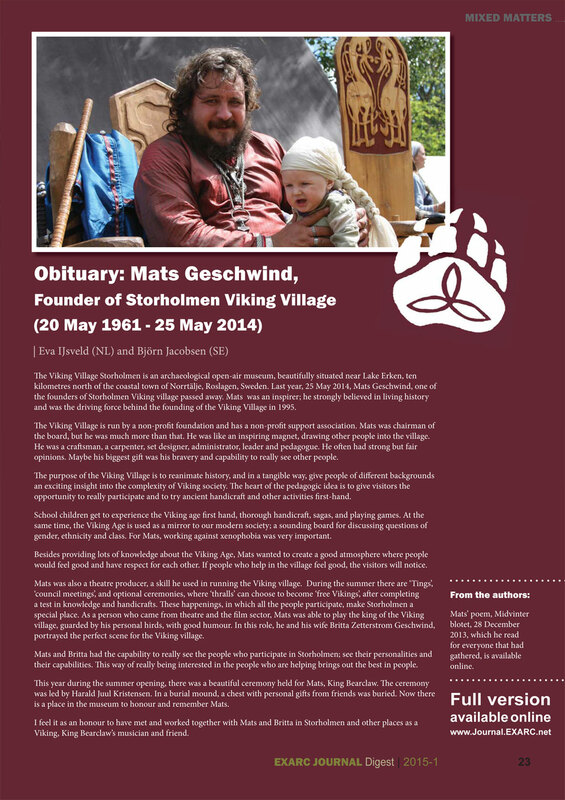 Putting on a Show discusses the practical aspects of putting on performances within the environment of archaeological open-air museums.